QL-760C Cereal Bar Molding Machine is newly designed one with unique structure. Its mold is installed under the driving motor, so Muesli Block Forming Machine can be washed by water. In normal machines, sticky materials are easily piled on the molds, so very difficult to be cleaned. 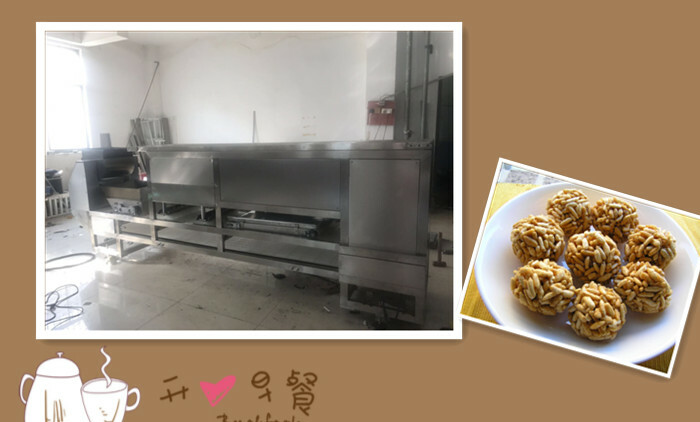 After a period of time, the sanitary condition of Granola Fit Bar Machine will get worse and effect the final quality. Now, the problem is settled! After work every day, the worker could directly wash Energy Block Machine by water, which is easy and quick to clean it easily. The capacity of Peanut Chikki Machine is also high to reach 600-800kg/hr. For more detail, please comtact Dragons Machine. Previous: How To Choose A Pet Food Equipment Mold?